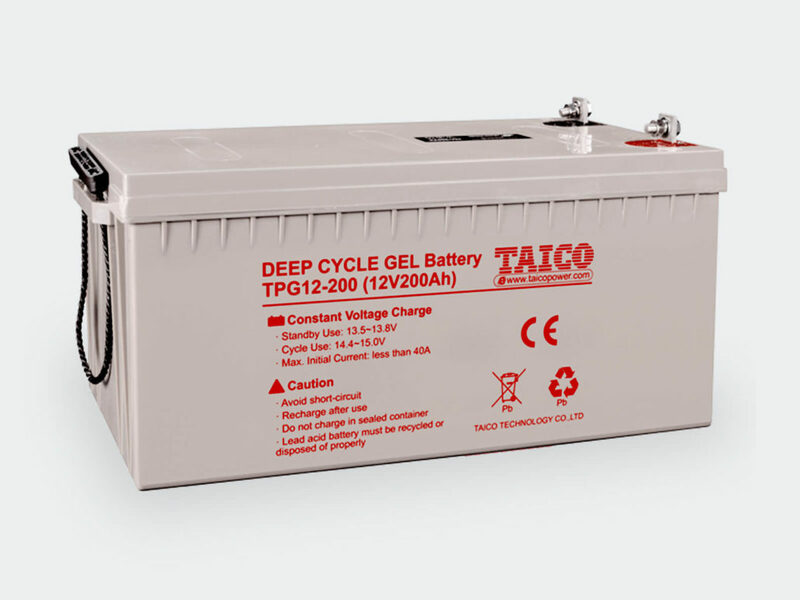 The TAICO gelled battery(TPG series) uses the sealed gel technology and is designed for high reliable, maintenance-free power for renewable energy applications. Depending on the advantage gel technology, optimum grid and plate design, the TAICO gel battery offers highest power and reliability for your equipments. Gelled electrolyte By the high-tech gelled electrolyte, gel battery is completely leakproof and spillproof for easy installation. It eliminates ultra deep discharge and acid stratification damage. Heavy-duty plates with high density and deep cycle oxide active materials, advanced grid alloy for deep cycle use, provide quick recharge ability and superior deep-cycle and float performance in the most demanding applications. Be good at recovery from deep discharge Gelled battery has a tight structure and relative supplies of gelled electrolyte, always has some ions left to conduct charge current resulting in the excellent recovery from deep discharge characteristics. Tank formed plates offer optimum computerized formation, additional quality control and improved voltage matching. PVC separators reduce gassing and improve gel filling and electron flowing, providing more power. Better low-temperature performance, even at very low temperature the gelled electrolyte will not be frozen and provide a good performance. Gel battery is well suited to low-temperature applications. The TAICO gelled battery maintain a long cycle and float life, provide the lowest cost per month or lowest cost per cycle. If this battery you required has not in the below list, please contact us immediately. You always can get the solution from TAICO.